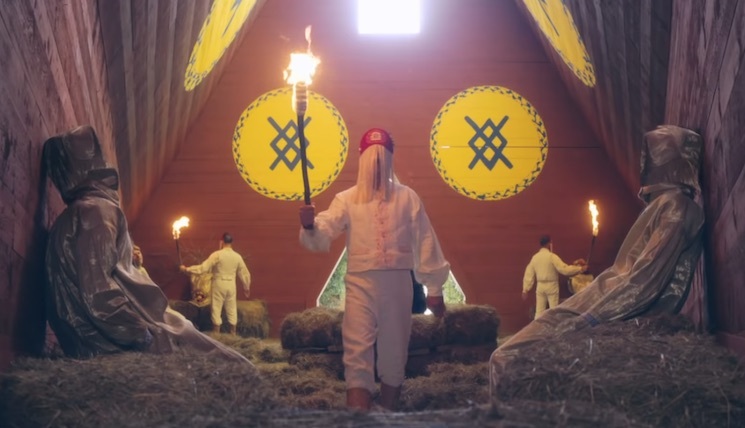 We recently got a taste of Ari Aster's Hereditary follow-up Midsommar via a tiny teaser, and now we get a full glimpse at the flick with its first official trailer. As previously determined, Midsommar stars Jack Reynor and Florence Pugh as a couple who are travelling through Sweden to attend a rural mid-summer festival. Instead, they fall prey to a pagan cult. The trailer certainly showcases those themes, but it also looks like the sunniest horror film we've ever seen. Watch the trailer for Midsommar below. The film will arrive in August via A24.